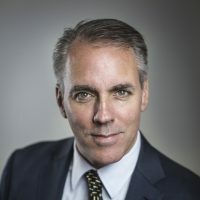 As the founder, partner and managing director of EHS Partners, Eric leads major projects for companies across a range of industries, bringing over 25 years of experience working with companies in the U.S. and Europe. Eric spearheaded the development of the firm’s approach, including its innovative financial and implementation planning systems and its proprietary Fulcrum system. His expertise spans financial services, consumer goods, technology, manufacturing and distribution/logistics. This experience fueled the development of EHS’ focused, results-oriented approach to business restructuring and operational improvement and the application of that approach across a variety of industry sectors. Prior to founding EHS Partners, Eric was a member of the team at TCA that pioneered groundbreaking restructuring work in the early 1990s. Before that he was at McKinsey & Company, where he specialized in strategic turnarounds and restructurings for clients such as Citicorp, American Express, Shearson Lehman, RJR-Nabisco and AT&T, often in response to highly visible crisis situations. Eric earned his MBA with distinction at the University of Pennsylvania’s Wharton School of Business and his B.S. with high distinction in Electrical Engineering at the University of Virginia.